What is the Copyright on Old Photographs to Use as Calendars? Home > Ask Our Experts > What is the Copyright on Old Photographs to Use as Calendars? I have some photographs of old steam engines, landscapes etc. that were taken by family members in the 1940's and I have an idea of creating reprints of them and selling them as calendars and postcards. Are there any copyright infringements or need to copyright my idea/completed work? The photographs belong to me/my family exclusively and the original photographer, a family member is deceased. There are two copyright concerns to address in this instance. To begin with you should consider any copyright in the photographs you intend to use. Secondly, if you are considering selling the prints and calendars to the public, you should also give some thought to protecting the copyright in those creations. As the photographs were taken by your relative, the copyright in those images will be owned by them. Under British copyright law, this lasts for 70 years after the death of the creator. Given that they were taken in the 1940s, it seems unlikely that the copyright will have expired. 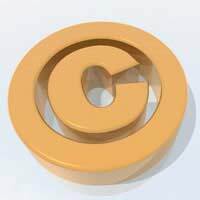 But copyright is counted as part of an individual’s estate when they die, and will therefore have been passed on to the photographer’s beneficiaries. You must contact them before taking any action that might infringe their copyright. Having secured permission from the copyright owner to use the images, you should then consider the copyright issues involved in selling the reprints and calendars. As is explained elsewhere on this website, copyright ownership is conferred on the creator at the point of creation. This means that you do not actually have to do anything in order to secure your copyright; you are automatically the owner as it is your creation. That said, there are two points to remember. First of all, the copyright in the images will not pass to you. Rather, this will remain the property of whoever inherited it from your relative. As such, they will continue to have some interest in the reprints and calendars and will therefore be entitled to some compensation in the event that you sell them to the public. You will also need to seek their approval for the use of the images. Secondly, although you will automatically own the copyright in the calendars (but not in the images), you may wish to consider taking some action to ensure that you can prove this easily in the event of an unauthorised use. Amongst the simplest ways of doing this is to lodge a copy of your creations with a solicitor. Further information on proving your copyright ownership is available elsewhere on this website. Does the Photographer Need my Permission? Can a Glow from a Light Source Appear Larger Than it is?